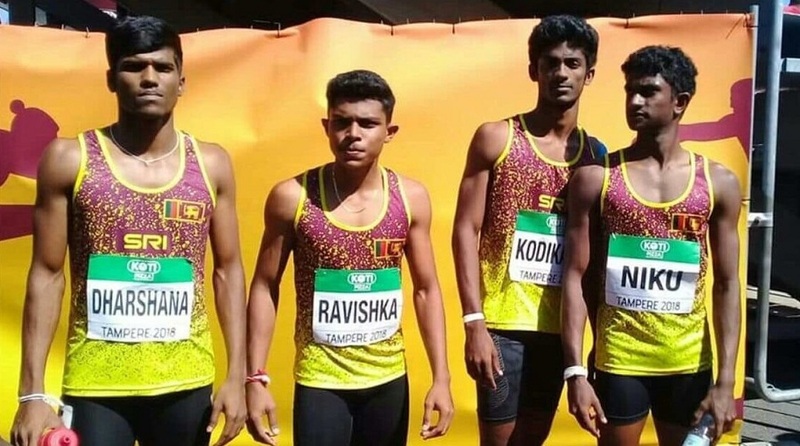 Sri Lankan U20 Men’s 4X400 team who became the first Sri Lankan relay team to take part in a final at a World Championship ended their journey at the IAAF World U20 Championship as the 8th placed team at the final which was concluded a short while ago (15th) in Tampere, Finland. The Men’s 4X400 team was Sri Lanka’s last hope at winning their first silverware at the World U20 championship. 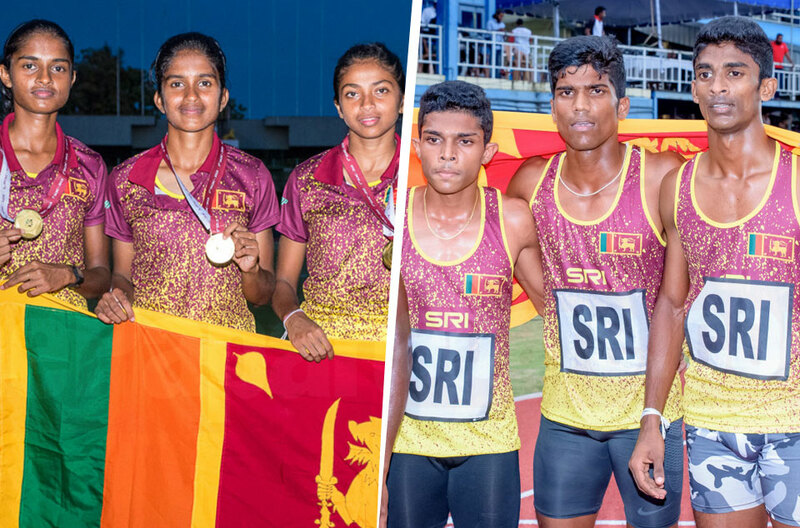 The Asian Junior Champion quartet of Pasindu Kodikara, Pabasara Niku, Ravishka Indrajith and Aruna Darshana marked Sri Lanka’s best return from the Championship featuring in the final of the event. 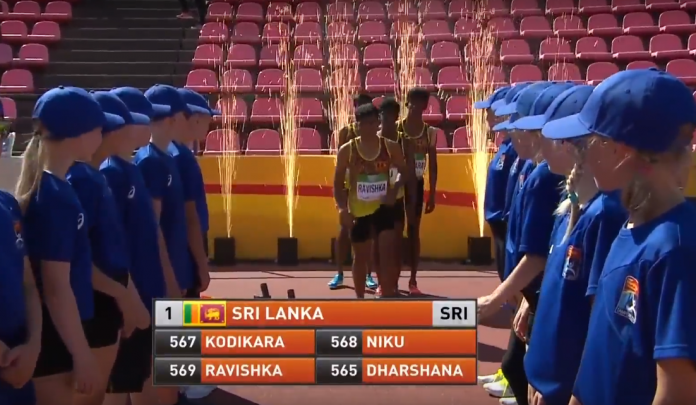 The Sri Lankan team gained qualification to the final with a run of 03:08.88 in the heats where they were placed third behind team USA and France. Despite not gaining automatic qualification they managed to qualify for the final as one of the fastest two losers from the heats. The quartet were only marginally short of their seasonal best time of 3.08.21secs. Sri Lanka competed in lane 01 of the final with Pasindu Kodikara getting Sri Lanka off to a decent start running in the difficult inside lane. USA who were the favorites to win Gold with a commanding performance of 3:05.57 in the heat made critical errors in the first baton change dropping the baton and throwing the competition wide open. Second lapper for Sri Lanka Pabasa Niku despite giving it all could not make headway into the front pack as he fell to the last place in the race. The second baton change from Niku to Ravishka Indrajith was not a very successful one as they ran into the Australian runner who crossed in front of Niku to slow him down. 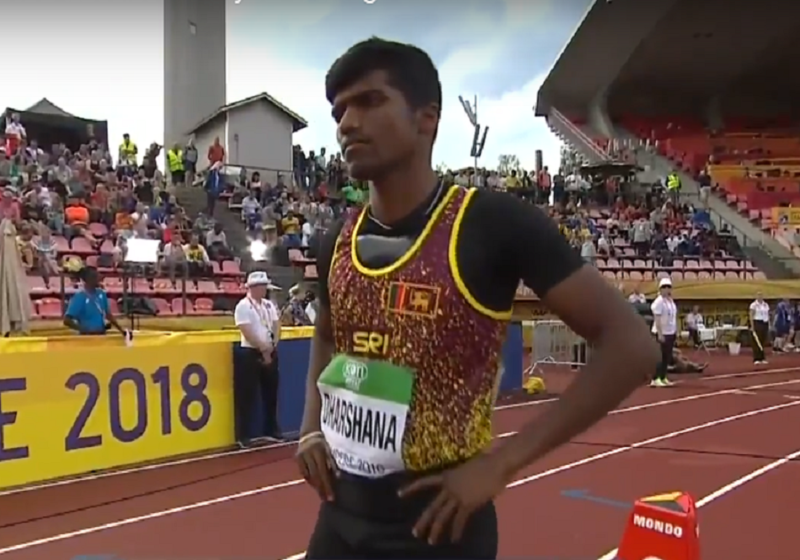 Ravishka who was excellent in the heat could not repeat his performance in the final which left Sri Lanka’s best runner Aruna Darshana who anchored Sri Lanka with too much to do in the final lap. Sri Lanka was placed 8th with clocking 3:09.38sces well short of their seasonal best and the time they clocked in the heats. 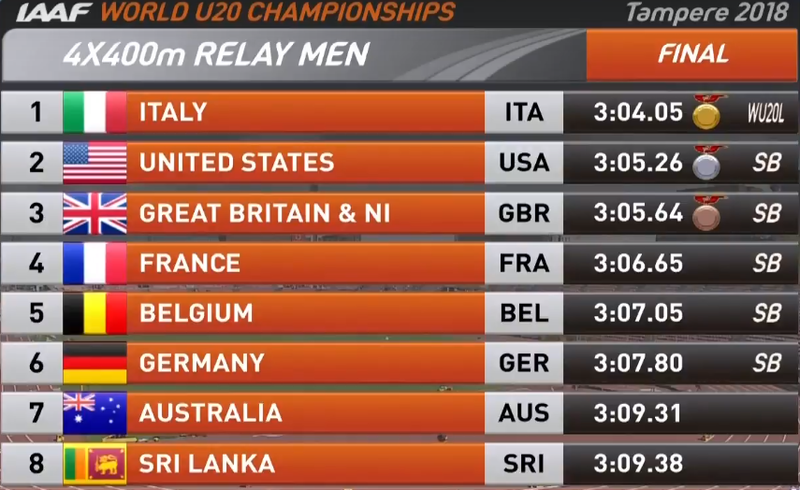 Capitalizing on the baton changing error by the pre-race favorites USA, Italy managed to run a superb race to be crowned as the Junior World Champions clocking an impressive 3:04.05. USA despite the early set back managed to fight their way back to the Silver medal clocking 3:05.26 while Great Britain took home Bronze with a performance clocked at 3:05.64. Despite not managing to win a podium finish, this was a remarkable performance by the young Sri Lankan quartet as they became the only Asian team to qualify for the final in the 4X400m. Competing against the big names in the likes of USA, Italy, Great Britain, Belgium, Australia and Germany who are blessed with far better resources than what these youngsters have back at home. It is a huge testament to the pure hard work and perseverance these young athletes alongside their coaches put into perfecting their craft. For a country who only has one usable synthetic surface which was only available for competition in May this year, this result is a clear indication that if nurtured carefully there is talent aplenty in this country to challenge any other country in the world stage and to compete at the highest stage like in the days gone by.